At NTC we are not about free gifts and gimmicks - they break, get lost or go out of fashion. We invest in giving you something that will last you for life and provide you with a firm foundation for your future career. We offer various vocational qualifications from entry to advanced level, taught by highly qualified staff, along with a network of support services to prepare you for success. You will be studying in modern and safe environment with well equipped learning resource centres and access to industry standard software and equipment. NTC has its main study site at Unit 17, Cypress Court, Westmoreland Road, NW99RL The college is located in West London and close to Queensbury Underground Station (Jubilee Line) and is close to Morrisons supermarket. The college also easily accessible by many bus routes from central and north London. NTC is located within a modern building and has class rooms, IT Lab, Library and student study spaces with access to wireless internet connection. The campus is served by a range of local shops and food outlets. You will be able to benefit from the innovative partnerships that we have created with key industries. We follow no compromise policy for standard of education and quality of learning. We provide welcoming, safe and supportive environment for delivery of education. The employability of students who complete vocational courses is high and after completing a course with us, provided you meet the requirements we will offer help and advice in finding you the best job. "I have really enjoyed studying at the NTC. I started off studying for Level 3 and moved on to study for the Level 4. The tutors were very supportive and helped me throughout my journey. The course syllabus is excellent at this college, and is accompanied by brilliant I.T facilities. 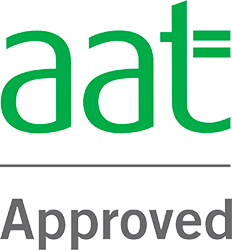 I would definitely recommend anyone to study AAT at the NTC. Even the sage training that I attended was very useful."